Dr. King was assassinated 50 years ago. Murdered as he confronted systemic injustice fueled by racism. His civil rights advocacy led to the end of legal segregation and enforced voter suppression. What hasn’t changed is the persistence of racism. The shooting is currently under review. If this is like most police shootings, no charges will be filed against the officers. What this highlights is a racial bias in the so-called judicial system, against people of color, particularly against young men. People of color make up a disproportionate percent of the prison population. People of color serve longer prison terms for the same offense as compared to a white person. This was true in Dr. King’s day. It’s true now. Racism is also at work in our current political climate. Scratch below the surface of the anti-immigrant rhetoric of President Trump and Jeff Sessions and you’ll find racism. In Mr. Trump’s world view, Mexicans are ‘murderers, rapists and drug dealers’. In this world view we need to militarize our border. We need to fear ‘the other’. In almost every case ‘the other’ is a person of color. 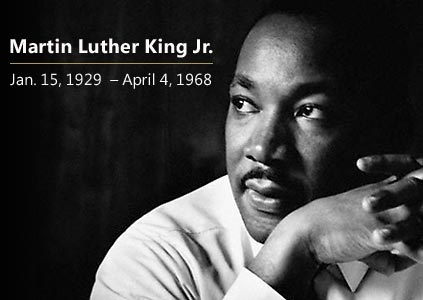 Dr. King was martyred because he stood over against the fear and hatred of his time. He was demonized by his opponents. The Black Lives Matter movement seeks to continue Dr. King’s principles. They too are demonized by their opponents. So why do we talk about Dr. King’s dream 5o years later after his death? Why didn’t the dream die with him? Simply put, because he offers truth. The truth that ‘hate is to great a price to pay’. The truth that ‘only selfless love can make an enemy into a friend’. Racism is a shape shifter. It takes many forms. Yet it has no place in a healthy society. No place in a healthy person. Martin Luther King Jr. was a man guided by a source of wisdom that is eternal. That comes from the very presence of God. Martin King’s love was not passive. It organized. It confronted. It persevered in the face of injustice. His message offered a new way of being. Dr. King didn’t believe in ‘us’ and them’. For Martin there was only ‘us’. May it be so.